I was seventeen when I entered and won a playwrighting contest sponsored by the New York Chapter of the American Cancer Society. The prize was a scholarship for a three month playwrighting course underwritten by the university where I’d already been accepted as a freshman. At the end of the three months, I still knew very little about the craft of playwrighting. 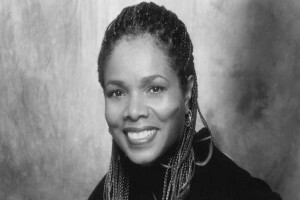 As an actress, I began on New York’s Off-Broadway stages performing in “Your Own Thing”, a musical version of Shakespeare’s “Twelfth Night”, appeared in straight plays that include LeRoi Jones’ “Slaveship” at the Brooklyn Academy of Music, and as Cordelia in The New York Shakespeare Festival’s “King Lear” opposite James Earl Jones. I also appeared as guest artist at Penn State University in the title role of the Greek tragedy, “Medea”. I am an original cast member and Grammy Award winner of PBS’s “The Electric Company”, appeared in television’s “Roots, The Next Generation”, played Pat Baxter on the popular soap opera, “All My Children” and over the course of forty years as a working actress, guest starred in numerous television sit-coms and dramas. Film work includes co-starring roles opposite Sidney Poitier and Bill Cosby in “Uptown Saturday Night” and “Let’s Do It Again”. I made a living as an actress, but my thirst for the immediacy and intimacy of the theatre and playwrighting never left me. I returned to my theatre roots writing and performing in a one woman play, “Objects in the mirror…(are closer than they seem)” which was produced at The Kitchen Theatre in February, 2010. Twenty years before the successful production of “Objects in the mirror…”, I wrote the book, music and lyrics for “Struttin’ ”, a musical that took seven years to go from page to stage. As I struggled through the early drafts of my musical, a fellow writer’s recommendation led me to a seasoned director who guided me through revisions of the musical’s story, called the book, and naturally led to my composing additional songs to drive both narrative and action. That was my first, unforgettable taste of the play development process. The success of my personal experience in the playwright-director collaboration led to an off-off Broadway, New York City production of “Struttin’ ” and earned seven Audelco awards including best music and production of the year. The need for play development determined my decision to create easy access to the process for other American playwrights traditionally under served in this area.